OLIN- Lori L. Stack, 59, went home to be with the Lord on September 4, 2017. 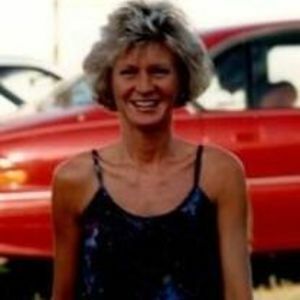 Born June 7, 1958 in Iredell County, North Carolina she was the daughter of the late Clifton and Mabel VanHoy Stack. Lori loved her fur babies, Bugzy, Hershey and Charcoal, along with all other types of animals. She also enjoyed fishing, doing yard work, and spending time with family. Survivors include her sister, Jane Bundy (Ben); brother, Van Stack; two nieces and one nephews and seven great-nieces and nephews. A celebration of life service will be held on Thursday, September 7, 2017 at 2pm at Union Grove United Methodist Church with Rev. Neill Shaw officiating. The family would like to give a special thanks to, Joe Steele, Dale Guy and JoAnne Somers for all their love and care they showed their sister during her illness. In lieu of flowers memorials may be made in Lori's name to the Iredell County Humane Society 317 Camelot Drive Statesville, NC 28625 or the American Cancer Society P.O. Box 22478 Oklahoma City, OK 73123 with the donation form. Bunch-Johnson Funeral Home is honored to be serving the Stack Family.